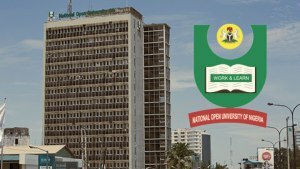 Bureau of Public Procurement (BPP) has tasked procurement officers and contractors working with the National Open University of Nigeria (NOUN) on the need to abide by Procurement Act to promote transparency and accountability. The bureau informed the officers that strict adherence to procurement rules would keep them away from fraud-related activities that could attract the attention of anti-graft agencies. A BPP senior director attached to NOUN, Peter Echono, gave the advice in Abuja on Thursday, at a workshop organised for NOUN Directors of Procurement from across Nigeria and other officers involved in award of contracts. He informed the officials that many people in public offices have landed in trouble because they bypassed or violated procurement processes in the award of contracts. He appealed to them to use the opportunity of meeting to deepen their knowledge and also acquaint themselves with the details of the Procurement Act, and also asked relevant questions so they could operate from an informed position. He said: “We realised that adherence to the Procurement Act has been difficult for so many public organisations, NOUN inclusive. The officials even resisted changes I introduced when I assumed duty. But as time went by, they realised the importance of the Act and they queued behind me. Director of Procurement, Federal Ministry of Education, Mohammed Gambo Mu’azu, in a presentation simplified the Procurement Act in words and pictorial illustrations, and encouraged NOUN officers to always make recourse to the Act for proper guidance. He reminded them of stiff punishments recommended by the Act for any violator and encouraged them to avoid activities that would attract such punishments. NOUN Vice Chancellor, Prof. Abdallah Uba Adamu, in his welcome address, explained to the participants that the essence of the meeting was to expose them to issues that had been responsible for the slight delays being experienced in the approval or delivery of their requests. HOW TO REQUEST NOUN MISSING RESULTS!!!! Breaking News: Result is OUT!